If you are lucky enough to be off to Dubai here are 10 things to do with a teenager. I travelled for a few days with my 17 year old son earlier this year and had a great time. 1. Dubai Mall – Think of any large global brand you can and they will be here. Alongside the Aquarium, ice rink, and dozens of restaurants. It’s next to the Burj Khalif so a good combination. Teenagers will have all brands they love here. 2. 4D Cinema – Think 3D with smoke, mist, water and moving seats. It’s not cheap but it’s Dubai and it’s worth it. Located in the Mall of the Emirates. Great fun. 3. The Beach at Burj Al Arab – A must for that iconic photo. Easy to get a taxi to the public beach. 4. Dubai Parks – It’s worth making the journey to the Dubai Parks. They are c30-45 mins from the city in good traffic. Motion Gate is the best for teenagers as it has the thrill rides. Look out for deals on tickets before you go. 5. JBR at night– Plenty of restaurants, shops and even a cinema. If your teenager likes luxury cars you will see everything here from Ferrari to Mclaren. 6. Desert Safari – The best £40 you will spend. Get picked up form your hotel and drive for about and hour into the desert.Driving on the dunes is a brilliant experience. Followed by Bedouin show and meal. Excellent. 7. Sand-boarding – Make sure your Desert Safari includes this. It’s real fun and makes a cool story for your teenager to tell their friends. 8. Shakeshack – In the Emirates Mall. Expensive but brilliant. Try shake of the month. 9. Jumeriah Beach – A great beach with warm seas and gentle sloping beach. Most hotels have a private beach but there is a public section also. 10. 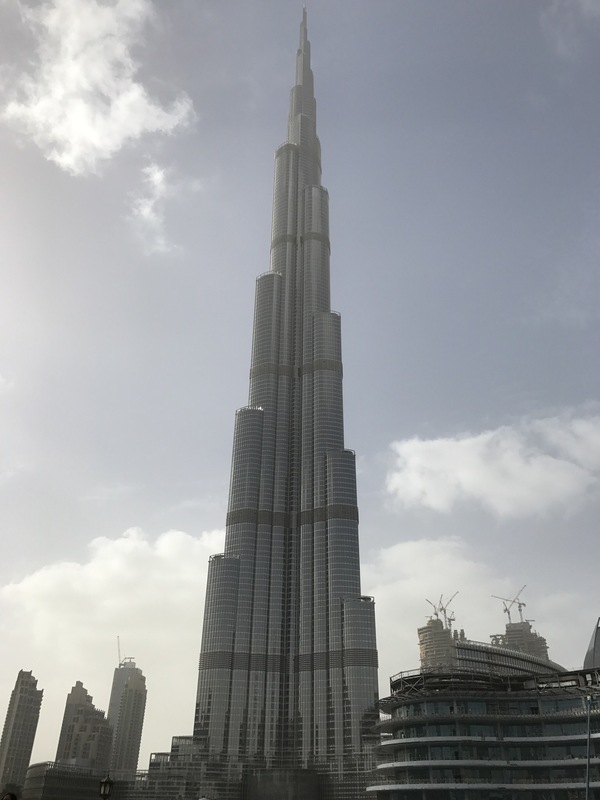 Burj Khalif – Tallest building in the world at the time of writing. You can see it easy enough from the ground but also from the top. Not cheap and big lines sometimes but worth it.